Regular weekly sessions or private tuiton available. Suitable for all levels of experience. Casual Class $15. Please bring cash. All mats and props are supplied. Please wear comfortable, loose or stretchy clothing for ease of movement. Bookings: Please let Lisa know that you are coming along, either by text message or phone call - 0411 311 621. 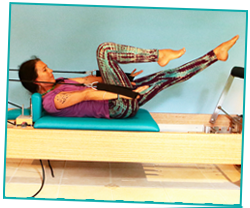 Private 1-on-1 Reformer and Matwork Pilates for rehabiliation and fitness. Please contact Lisa for more information. Lisa will also be offering 10 day yoga/Pilates challenges. Private mat work sessions available.